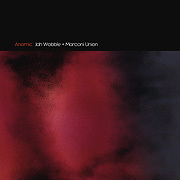 Dub and other forces are present on Anomic (42'23") the wonderful collaboration between Jah Wobble + Marconi Union. Lighting up the listener's neural pathways Richard Talbot (keyboards) and Jamie Crossley (guitar), the core of Marconi Union, and (John Joseph Wardle, the legendary bassist known as) Jah Wobble offer a minimal approach to music, yet do not produce music which is minimal. Jah Wobble works with the precision and clarity of a poet, but also with the boyish jubilance of a much younger man - while Talbot and Crossley seem to re-imagine their signature style with enough space to allow for the much desired and inspired cycling bass leads. 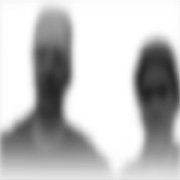 The atmosphere is one that calls attention to a secret cinema world of the musicians imbued with smooth action, cool mystery and confident heroes. For all the debt Anomic owes to spaghetti western and secret agent movie soundtracks it is also a true original. Jah Wobble plays the bass guitar yet is responsible for the forward motion of this music, something usually reserved for the drummer. On all seven tracks he produces symmetrical and regularly recurrent groupings of tones according to his own distinctive accent and time values. These forms are augmented by a percussion section, shimmering plucked guitar, keyboards and well-placed modulated effects. The team up works, as the music proves too striking to be overshadowed by its legend. Collaborations take the musicians to places they would not go on their own, opening the door to a world the players did not know existed. This trio produces such a rich listening experience that repetition is the only way to absorb it all.